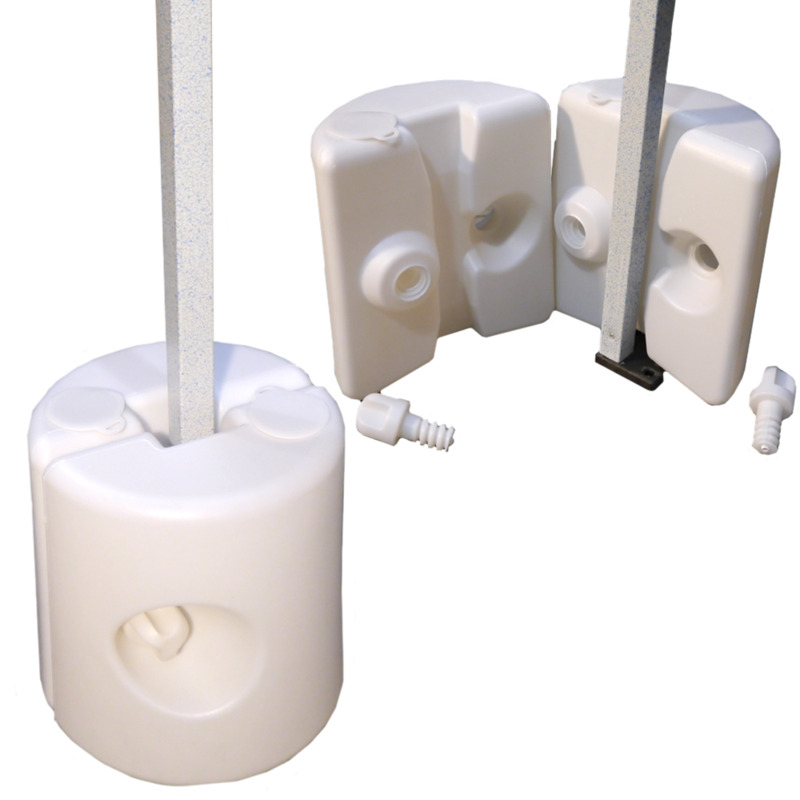 The water barrel leg weights are easily fitted around the leg and can then be filled with water or sand to weigh the gazebo down. Each weight is made of two semi-circular ‘barrels’ that you fill and then clamp around each leg of your gazebo. Supplied in sets of 4 they will fit any leg up to max: 32mm square. We do not supply the contents for the water barrels.